Blueair is a Swedish company and its air purifiers sell like hot cakes in Europe and Americas. Blueair has many models to offer with high price tags which may for once surprise you. After all quality does come with a higher price tag. In this review, we discuss about two of the lowest priced models from Blueair. The Blueair Blue Pure 121 and the Blue Pure 211 are cheapest of all models and still cost more than 20K! Buy any Blueair air purifier if you are a connoisseur and price doesn’t matter much for you. Pollution around Winters and New Year days is at its gravest peak. 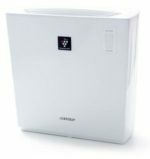 Last time, we reviewed the Atlanta Universal 350 Air Purifier. 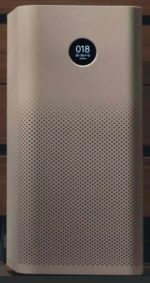 The Blueair Pure 121 and Blueair Pure 211 may at first look exact copies of the MI air purifier 2. More than the looks, there is just no match between the products of the two companies. Lets see how they are different and much more! 1.8 Which One To Buy- Blue Pure 121 or 211 ? Blueair Blue Pure 121 and Blue Pure 211 are unique examples of minimalism in consumption. Nowhere would you find an air purifier which is so devoid of technology. We are so used to seeing our devices stuffed with features that these models may look like dinosaurs. 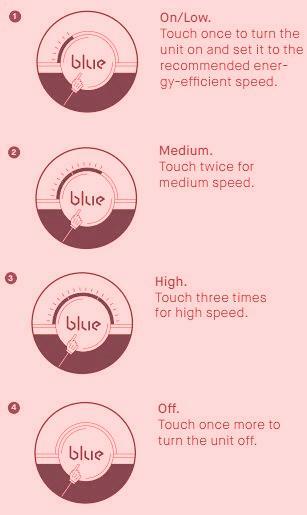 There are no LED displays or buttons to set different features On or Off. This been said, you may still not feel that the air purifiers lacks anything. The reason? 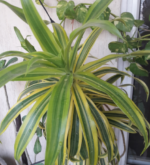 The straight answer is that an air purifier should clean the air to the fullest. Period. If it does that, it would make you feel satisfied with it. No matter it does not display you the Air Quality or doesn’t let you set a timer, you would not care. We tell you why in a second. This feature deserves the first mention in the review. Sweden is a country which recycles 100% of its waste. There is nothing which is thrown away “just like that”- A thing which most people in our country are specialists in. Whats hard to believe is that it imports tonnes of waste and garbage from other countries. A product of such a country is bound to be 100% recyclable itself. 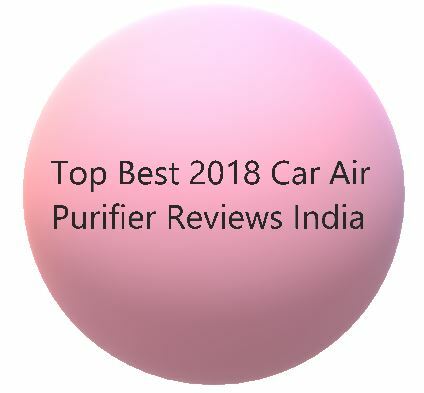 CADR is one feature where the Blueair Blue Pure 121 and 211 air purifiers stand out. Trust me, the air flow is very good. The Air Changes Per Hour (ACH) is an indicator as to how many times the complete air in the room passes through the air purifier. Worthy to mention here is that this holds good for the prescribed room size for the model. The ACH value is 5 for both 121 and 211. In terms of the CADR value, Blueair air purifiers have no match! 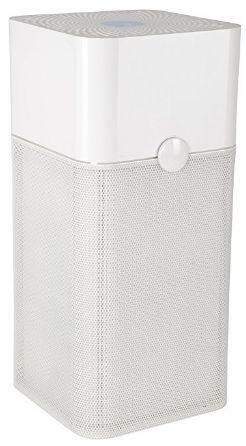 No other air purifier comes even close. Like we said, the Blueair Blue Pure models 121 and 211 resemble the MI Air Purifier 2. We don’t know who inspired whom, so let it be. 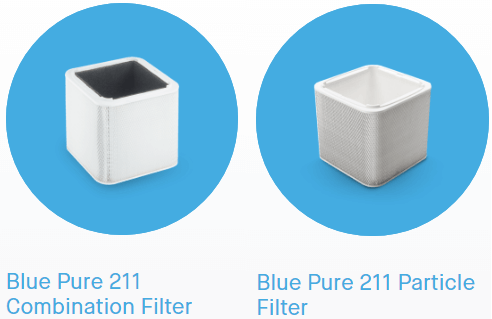 The difference between MI and Blue Pure models is the cost and the filter design(shape). We have already alluded to the absence of convenience features like Timer, Air Quality Indicator, Sleep or Auto Mode in the Blueair models. There are no flashy consoles or touch buttons. The Air Purifier takes air from all directions. This is the 360 degree air intake. The Blue button as shown below is all that is there on the air purifier. 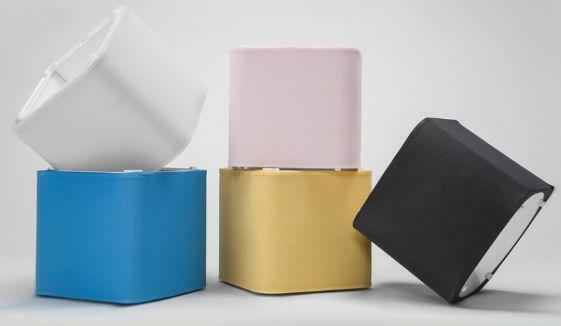 The Blue Pure 211 air purifier (not 121) comes with 5 different colored fabrics. These fabrics can be used to change the color of the air purifier to fit the room as per your decor. Not just the aesthetic use but the fabric serves as a pre-filter. You never need to replace the “pre-filter” atleast. You can wash it in the washing machine if it gets dirty. 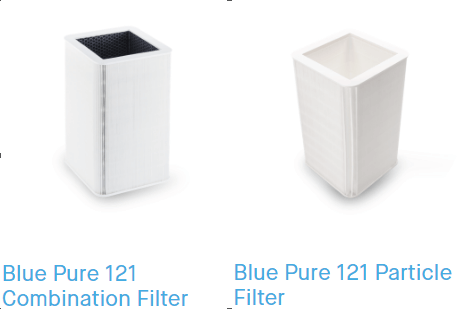 The Blue Pure 121 and 211 come with a Combination Filter and a Particle Filter. For 121, the Combination filter contains a high-performance 4.8-square-meter particle filter and active carbon honeycomb pellets (Activated Carbon). Just the carbon weighs almost 2 kg. 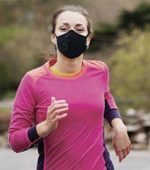 The activated carbon removes smoke, odors, gases and volatile organic compounds in the air for a very long time. A single gram of active carbon provides a surface area of over 1,000 square meters (10,765 sq ft). What this means is that the carbon in this filter corresponds to about 160 football fields of odor-eating capacity! The Combination Filter for Blue Pure 211 is 4.3 square meter in area. The Particle Filter is made of polypropylene fibers which don’t let mold or bacteria to grow. 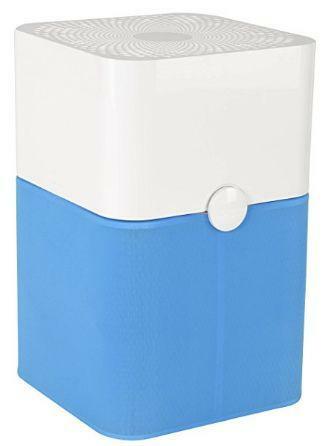 All airborne particles are electrically charged when passing through the Blue Pure air purifier, making sure that even the tiniest particles effortlessly stick to the filter media. Thus Blueair air purifiers use mechanical as well as electrostatic means to clean air. Just to make things clear, the air purifier doesn’t give you all five colored pre-filters. You have to buy them separately. The HEPA filters are not packed densely. 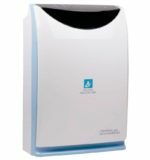 The HEPA-silent technology relies on the filter material density to achieve super silent operation. 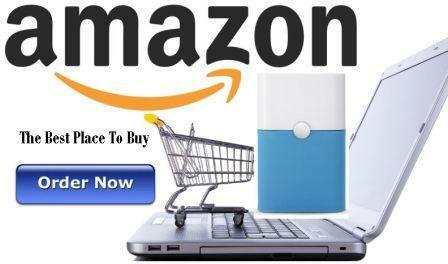 It is not mentioned on websites like Amazon, but there is an Ionizer present too. Ionizers produce Ozone and no product manual or website can deny it. There is no feature to turn the ionizer On/Off as per your need. The above are lines taken as it is from the manual of 121. Note the word “continuously” above. Which One To Buy- Blue Pure 121 or 211 ? 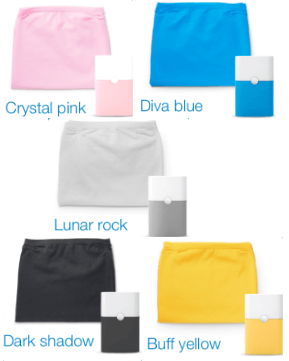 We would recommend you to buy Blue Pure 211 model if you have to choose one. The other models from Blueair are non-minimalist unlike 121 and 211. 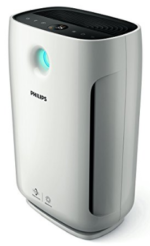 In a small price difference you can consider Philips Ac2887 and AC3256. Very Pricey compared to all models from other companies. The air inlets are very close to the floor, it may end up being a vacuum cleaner unless placed atop something. 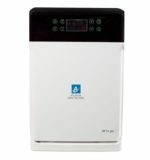 The Blueair Blue Pure 121 and Blue Pure 211 Air Purifiers are good in that they solve their objective. But, what about the multiple features missing? Are you okay with the absence of such features like a timer, sleep mode, auto mode, Air Quality Indicator lights, Real-time particle display and so on? Blueair really should have included all these given the price. Still, if you are looking for a quality brand that Blueair is, you can buy its other costlier models.